I wanted something at a local department store (FYI: it’s like amazon.com except in a building). I had received their promotional email about a small appliance sale. When I looked at their shelves, there was a demo model but no new appliance for sale. The next hour became a blur of chaos, questions, ridiculous answers, waiting, and questionable sales help. I left the store with nothing (except a bad attitude). The store didn’t know who I was or that I was upset. I wondered if the CEO of the store knew what was happening at the store level. Or if the store manager knew or even cared! The next time, I’ll go to Amazon. It’s easier. There are layers of people in every transaction with the end-user at the “bottom” feeling several steps away from the creative leadership at the “top”. It’s easy for this gulf to expand and worsen. 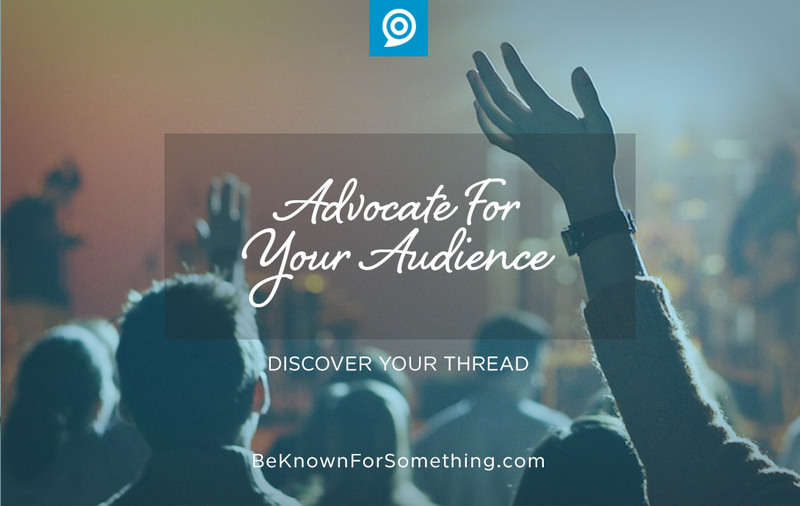 As church communicators, we have to be fiercely aware of our end-user and advocate for that audience by developing an environment where that advocacy is contagious. If our audience isn’t heard (or happy), they’ll go where they feel it’ll happen. How do we create an advocacy environment? Create a friendly environment of interactivity. Flatten the organization and make everyone’s discussion important. Any person willing to share what they’ve heard, or how to improve something, needs to feel welcome. They can even discuss successes! The more you know, the more you can improve. Set goals at the beginning based on audience needs. The end-user wants something, and you know how to deliver it. Set goals to figure out if it’s happening as intended (i.e. attendance, interactivity, decisions, etc). Write them down. Ensure that everyone (on all layers) understands the “why” for each goal. Relate the goals so they emphasize why they need to be achieved. Create a strategy so all the “layers” of the organization have a reason to fight for their success. Please note: The “why” of the audience should be weighed heavier than the “why” of the leader. Allow all layers to have feedback and reward them. Create a meeting structure, email availability, or suggestion box so that everyone can have input. If people prefer to do this anonymously, be aware they don’t trust you or leadership — go back to the environment of interactivity again! When someone gives feedback, reward them appropriately in order to have it happen again (i.e. a public thank you, a note, a small gift). Have the difficult meeting regularly and especially after large events. Do it so regularly that it becomes habit. Have the followup meeting as soon after the event as possible so that it’s fresh in everyone’s mind. Ensure each person understands that these meetings are intended to help ministry and are not a time of unnecessary criticism. Remember that written goals are wasted if you don’t do followup, and followup is wasted unless you have clearly defined goals. 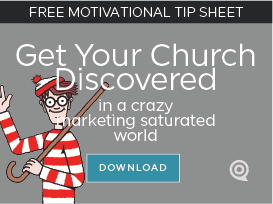 When this interactive system takes hold, your audience will become loyal and evangelists for your ministry. A good reason to advocate for them!